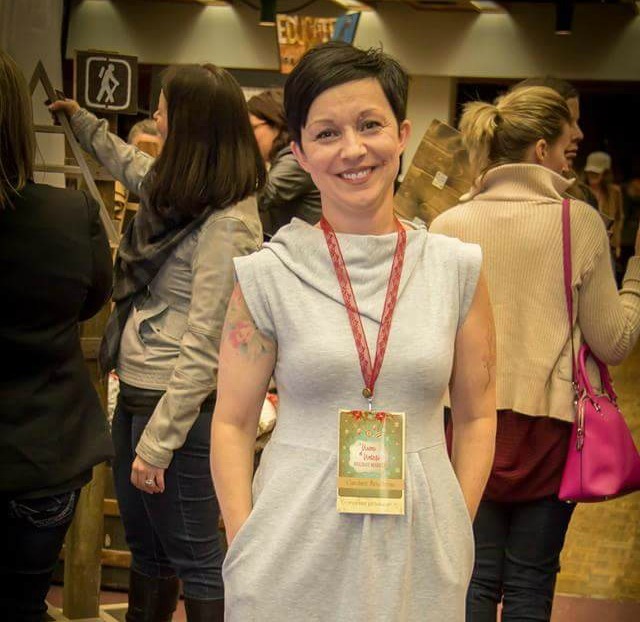 Girlboss Candace Boudreau from The Tickled Cherub and The Vixens of Vintage speaks candidly about the entrepreneurial spirit, her successes and failures! “When asked to write an article for the YYC Girl Gang blog, I struggled a bit with what to write. Yes, I am an entrepreneur who is trying to build two businesses BUT what do I have to share with others about business? My life is scattered. I am Queen Scatter Brain, ruling my messy castle. As a graduate from a Broadcasting program, I remembered one of the key rules for journalism: write what you know. So, I sat back and thought: how on earth did I get to where I am today? It all started with a dream. Yes, that sounds cliché – but it’s the truth, and I know that you all know what I am talking about. That little whisper in the back of your mind. Some fortunate people tune into that whisper right away, while others wait for years until the whisper becomes a fire in their belly and then a scream in their ear. Some people just wait for the whisper to die out. This is the story of how I listened to the whisper, misinterpreted its meaning for years, and then realized and followed my dream. That whisper has been there as long as I can remember. At the age of 18, I knew I wanted to work for myself. But doing what? My first idea: a catering company. Why not? I loved to bake and people always raved about my delicious goodies. Why not start selling them? Ummmm, because I’d have to bake ALL THE TIME. This was my first lesson on the road to becoming by own boss – realizing that you must be passionate about the business that you are going to start. Passion is the key. At the time, the drive to be my own boss was the ONLY element I was focused on. The ‘what’ did not matter as much to me. Thus, the catering company fizzled out and the dream died for the moment. For a few years, the whisper became silent. I couldn’t hear it anymore. I forgot it ever existed. From time to time, I thought I could hear something – but, when I listened closely, it was simply a muffled noise. Then, at the age of 35, it returned louder than ever. An undeniable shout telling me I could do it! I could be my own boss and earn a great living. But what could I do that would make me the most money in the shortest amount of time? Why not clean houses? I love to clean. People would always ask how I could keep such a clean house and what my secrets were for removing tough stains. So why not go into people’s homes, hire help, charge an arm and a leg to leave someone’s house spotless? Ummmm because I would have to clean other people’s dirt and toilets for a living. 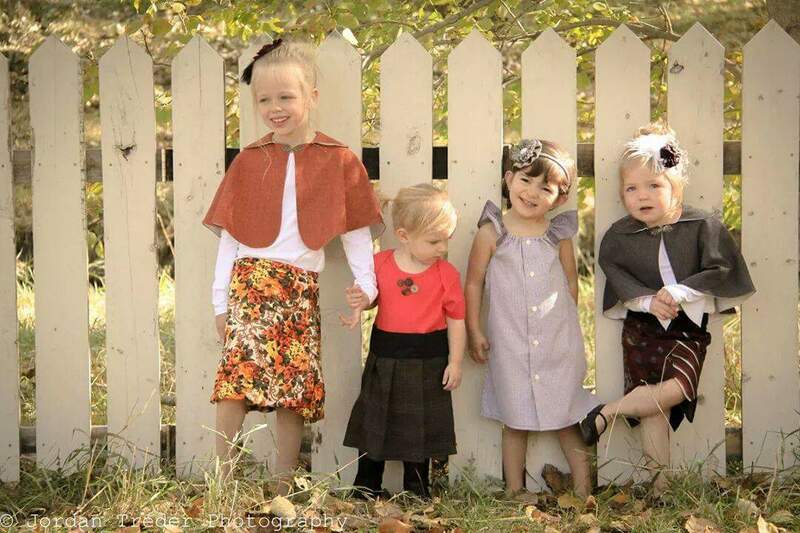 Then a few years later, I was about to have my daughter and I had an idea that I was going to sew her some dresses! What was I thinking? I hadn’t sewn since Grade 7 Home Economics class. I was not a seamstress. I sat down at my computer, pulled up a YouTube video, and retaught myself how to sew. Who knew I was creative? I loved every minute of it. And then…there it was. A feeling that I hadn’t felt before. Every time I would sit at my sewing machine and create something for my daughter with my own two hands and from my own imagination, I felt this warm feeling come over me; a sense of pride and ownership…….PASSION. I heard it, the voice. No longer a whisper but now a loud scream that I could hear and feel all the way down to my toes. This was it. This was what I had been waiting for. I knew that starting The Tickled Cherub (my line of clothing made out of re-purposed vintage clothing and materials) was something that I was passionate about. I couldn’t wait to turn it into a business! I wasn’t thinking about how much money I could make in a short amount of time. Instead, I was thinking about the designs that I could make, what materials I could make them out of, and what I was going to sew next. I couldn’t wait to work and create everyday. As soon as my daughter would fall asleep, I would lock myself in my room until one in the morning and create. And I LOVED EVERY MINUTE OF IT. But would anyone like it and buy it? I decided to put Tickled out into the market world, despite my doubt, fear, and hesitation. The voice kept reassuring me, keeping the warmth in my belly, pushing me to be more and more confident in my abilities and creations. After my first market, I knew I was onto something. Although it wasn’t an overwhelming success, I realized that I needed to test the waters, and find where I would fit into the market community. I was selling a niche product that may not do well in certain areas. I was learning more and more lessons all the time. Tears were shed and feelings hurt, but the difference this time was that I was taking them all as lessons and not giving up. Why? …The voice. The PASSION. In my market adventures (and there were MANY), I learned a lot of lessons, met so many wonderful people, fell in absolute love with the market world and then…it happened again! The voice was screaming at me…but what could it be this time? I was already doing something I loved, had found my place in the market world, and was starting to build my brand. I was now falling in love with the world of “the market”. I had an idea that I, too, could produce a market that would be a great fit for what I was creating, along with all of the other fantastic women that I had come to know and love. So, after collaborating with a beautifully talented lady that I had met at a market, we decided we were going to do this together. In the end she decided, understandably, to put more of a focus on her own booming business and I began to blaze the trail alone. Could I do it? Could I make this new dream a reality? The voice was too loud and I had to try. I knew NOTHING about producing a market – promotion, social media, websites, obtaining vendors, scouting locations……NOTHING! There was this unexplainable drive, though. A sense of a welcoming community. Meeting all of these wonderful women created a sense of support….and success. 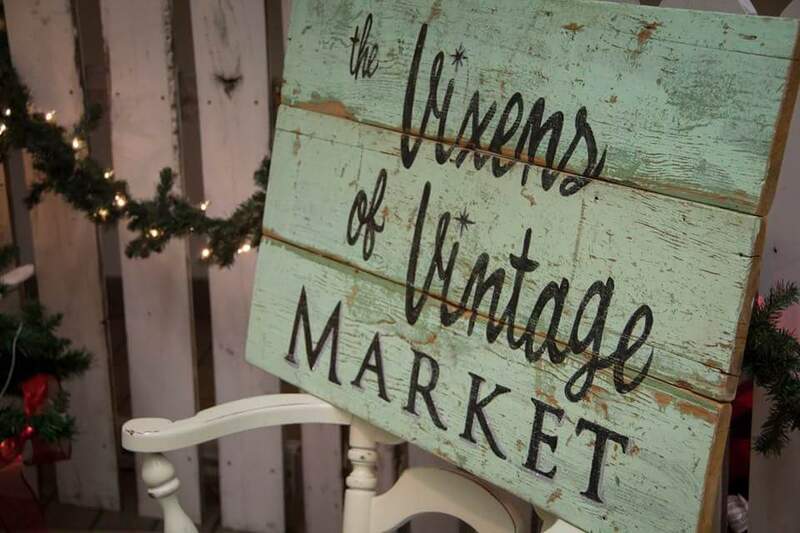 or running the amazing Vixen’s of Vintage market in Calgary and Edmonton!